"When I think of Lynyrd Skynyrd, I just think of an outrageously fun time." 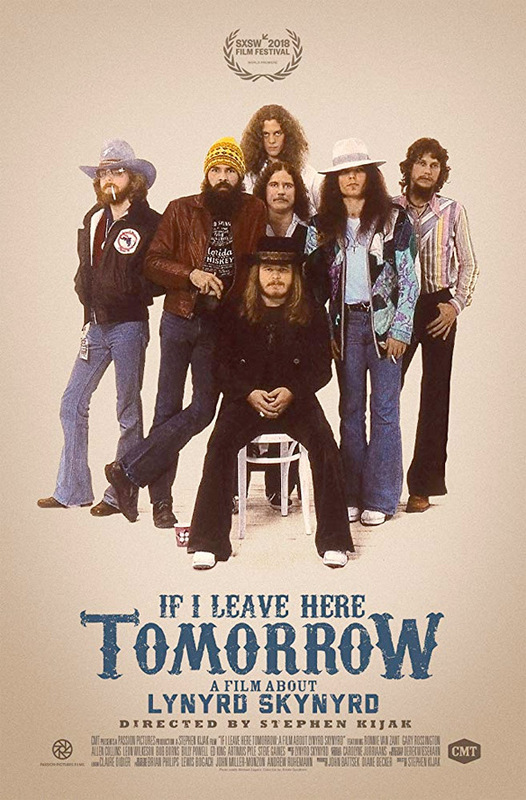 Showtime has debuted the first official trailer for Lynyrd Skynyrd: If I Leave Here Tomorrow, an extensive documentary about the American rock band, from doc filmmaker Stephen Kijak (Scott Walker: 30 Century Man, Stones in Exile, Jaco, We Are X). This first premiered at the SXSW Film Festival this year, and also played at the Cleveland Film Festival. Featuring rare interviews and never-before-seen archival footage, Lynyrd Skynyrd: If I Leave Here Tomorrow takes viewers on a trip through the history, myth and legend of one of the most iconic American rock bands. The film examines their entire history and success, as well as their tragic ending when a plane crash in 1977 killed three band members and three other passengers, including founding member and lead singer Ronnie Van Zant. Another fascinating, comprehensive rock doc about a classic band. Enjoy. This authorized documentary will explore the music and backstory of the legendary American band known as Lynyrd Skynyrd. With the songs from the first six Skynyrd albums driving the narration, the film focuses on the story of frontman Ronnie Van Zant - his upbringing, his roots, his work ethic and his contradictory persona as both as a mythic Southern rock poet and notorious boozed-up brawler, as well as the relationships between his friends and fellow founding members Gary Rossington and Allen Collins, along with later bandmates Ed King and Artimus Pyle. Lynyrd Skynyrd: If I Leave Here Tomorrow is directed by filmmaker Stephen Kijak, director of the docs Cinemania, Scott Walker: 30 Century Man, Stones in Exile, Backstreet Boys: Show 'Em What You're Made Of, Jaco, and We Are X previously. This first premiered at the SXSW Film Festival earlier this year. Showtime will release Lynyrd Skynyrd: If I Leave Here Tomorrow streaming exclusively starting August 18th this summer. Who's going to rock out to this?